The Chinese composites industry accounted for 25% of the global composites output value in 2017. This level is superior to Europe’s composites industry output value (20%) and close to North America’s (30%). “But although Chinese mainland’s composites yield is high, it is lower end in terms of application fields. Its future development needs an industrial structure adjustment”, says the Chinese prospective agency Forward – The Economist (前瞻产业研究院). China’s composite materials industry originated in the late 1950s. Since the 1980s, the industrial chain has grown at a rapid pace. 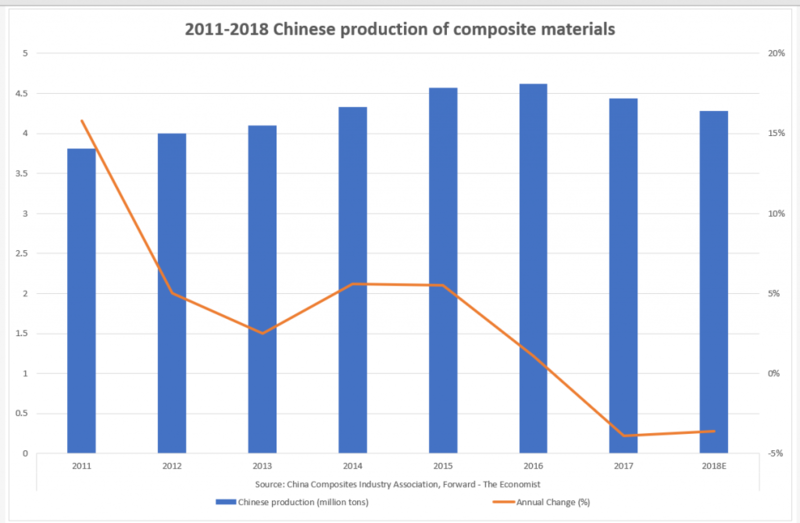 However, according to the China Composites Industry Association, the national production of composite materials was about 4.44 million tons in 2017, down 3.9% versus the previous year. 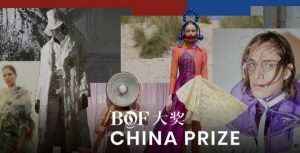 Since 1 January 2015, China has been implementing its new Environmental Protection Law. This national law was formulated for the purpose of protecting and improving the environment, preventing and controlling pollution and other public hazards, safeguarding public health and facilitating a sustainable economic and social development. Furthermore, China’s Environmental Protection Tax Law has come into effect from 1 January 2018. It is the first tax law in China concentrating on pollution control and enhancing eco-friendly development. Such taxation will increase the operating costs of polluting enterprises so as to discourage capital from investing in highly-polluting industries. Due to these new environmental protection standards, many small and medium-sized composite enterprises were discontinued or even closed. According to statistics published by China Composites Expo and Forward – The Economist, among the more than 5,000 composite materials enterprises that China counted before 2015, about 3,000 were technologically backward in 2017. The small companies that lag behind in terms of environmental awareness have no choice but to achieve conversion, or they shutdown. In addition, the prices of raw materials such as fibres and resins have risen significantly since 2017, with no small impact on the production and operation of composite materials enterprises. According to estimates, China’s composites industry production was further reduced by thousands of tons in 2018. In recent years, to solve the problems of growing employment costs and environmental requirements, many enterprises gradually increased their investments in production equipment to enhance mechanization and automated production levels. Fujian Haiyuan Group (福建海源), Shengli Xinda (their Xinjiang plant is pictured at the top of the article ©胜利新大)and other enterprises are actively seeking automation and intelligent production line implementation, thus bringing new vitality to the industry, according to China Composites Expo and Forward – The Economist. With the growing concern about environmental protection issues, enterprises that produce and operate in the thermosetting composites field have encountered unprecedented pressure and shrinking market demand. In the thermoplastic composites field, the trend is opposite due to the development of the green economy. Various thermoplastic composites – including engineering plastics, long fibre-reinforced thermoplastic composites and continuous fibre-reinforced thermoplastic composites – have been used more and more widely in automobile lightweighting, home appliances, construction and other fields, and the output of thermoplastic composite products in China has increased steadily. As underlined by the China Composites Industry Association, the domestic production of thermoplastic composite products was about 2,091 million tons in 2017. 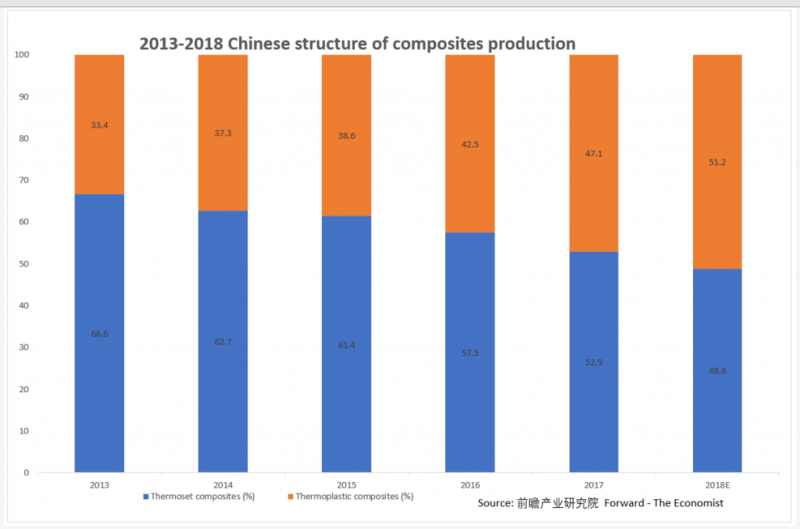 Their share of the total Chinese composite material production increased from 33.4% in 2013 to 47.1% four years later. According to estimates, thermoplastic composites exceeded thermosetting composites in 2018. In recent years, the market for thermoplastic composite products has continued to expand. For example, Holycore (杭州华聚)’s thermoplastic honeycomb sandwich plate has been successfully used in all kinds of box trucks and logistics vehicles in China and abroad. 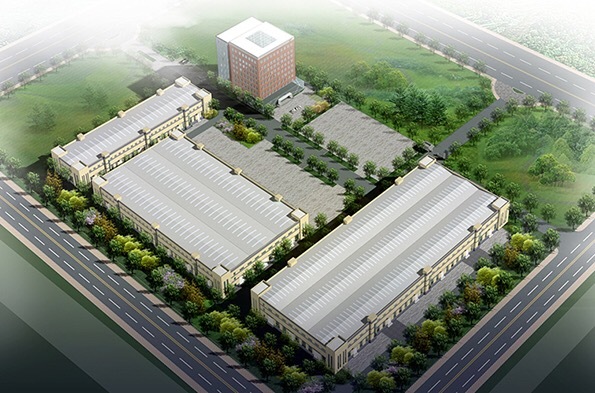 Also, Zhejiang Huajiang Technology (浙江华江科技) continues to make new breakthroughs in the application of lightweight GMT products and has been actively increasing its production capacity. This article has been commissioned and published by JEC Group in JEC Composites Magazine.